Fantastic place. I don’t usually care about my hair that much but I legit get compliments on it after I leave here. Staff is a lot of fun. Highly recommend. A+ establishment. They always do a great job on my hair. Everyone was very kind and friendly! My haircut was done well at a very reasonable price! I see Lizzy Trott at Tru. She has been doing my hair for a few years. She started at Tru about a year ago and I love going to see her there. Everyone is so welcoming and kind. The space is so open and bright. I love this salon! The staff is lovely and I love the Aveda products! I go to Maggie and she helps me achieve the perfect cool blonde hair color that I love. I always feel comfortable and taken care of when I come here to get my hair done! I was able to schedule an appointment very quickly and easily and was so thrilled with the results, the cut and color was exactly what I wanted. The atmosphere at Tru is very welcoming. I especially LOVE what Taryn does with my hair. I always look forward to my next visit. Kenna is so good at discovering what looks best and making it happen. She is great! Rachel and the entire staff is amazing at Tru on Park! I’m always getting compliments on my cut and color and it is all thanks to Rachel. Thank you, Staci! This means the world to us! I always receive compliments on my hair after my appointment. The salon is clean and offers complimentary coffee, tea, and seltzer. Thank you so much, Mary Ellen! We love doing all the fun colors in your hair! This is second time I have gone. And I love it. Gabriella is wonderful. She does a great job on my hair. Thank you Barb! Looking forward to seeing you again. I live in California now, but come in to Tru on Park whenever I’m in Rochester. I love the salon and staff so much. Maggie is my go to- she does incredible color and my cut always feels fresh! Thank you Alexa! We always enjoy seeing you when you come home! this is my second time getting my hair retouched first time with keratin treatment and second full highlights. Gabriella is awesome. she does an amazing job. recommend her for sure. Thank you Carlos! It was great to meet you. We look forward to seeing you both again soon! The staff is really nice and I got my first haircut there for half off. Basically everything was perfect. Taryn is awesome!! I went in as a new client and said “dealers choice!” She took off about 5 inches and I absolutely loved my new haircut!!! Thank you so much!!!! Thank you so much for the kind words, it was great having you in! Taryn is the bomb!! she is awesome at what she does!! she is the only one I let do my hair! Thanks Taryn! Tru on Park prides itself on business growth, including employee opportunities for improvement, which wouldn't be possible without our client's feedback! We appreciate you coming in and taking the time to review your experience, and hope to see you again. Hi Risa! Thank you for your kind words. We strive to create a personalized and genuine experience for every guest, and we are so glad that you enjoyed your visit. Hope to see you soon! I moved to Rochester and needed a new hair stylist. After reviewing Yelp reviews, I decided to book an appointment. The women are super friendly and I loved Kenna, my stylist. I also love the side room where you sit as your hair processes. Hi Katie! Thank you for checking us out and we hope to see you again soon! Love Taryn! She takes such good care of my hair!! Rachel is absolutely the best! She has done the best job of highlighting and coloring my hair, that I have ever had. I highly recommend this salon. Every bit of my time spent there was fantastic! You can't beat Aveda for their products and experienced staff. Tru has wonderful, friendly, and talented stylists that give you what you want. The salon is clean, offers free WiFi and beverages. Highly recommended! Warm, friendly atmosphere. Great color and cuts!! The total experience has been great for us and our 7 year old daughter. Rachel is an incredible talent and a very good person that you can warm up to in a minute. We wouldn’t go anywhere else. Kenna is the best hair stylist ever! Thanks Matt! We always enjoy seeing you! 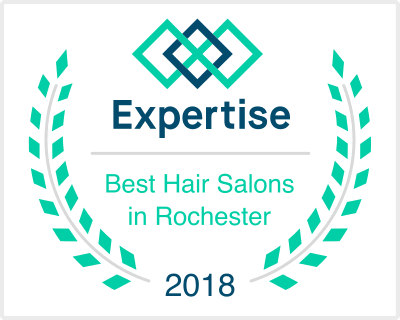 Best salon in Rochester! The atmosphere is amazing, the stylists are the best in the city and it smells wonderful in there. I love it here. Tru on Park has a great atmosphere all around, Upbeat fun vibe with killer Stylist and an amazing line of color and products to work with! It’s a Gem! My experience was wonderful and my hair turned out better than I could have imagined! Loved my cut! I came in after a bad haircut somewhere else, and my stylist helped fix it and it's great now. I will definitely be back! Got a great cut from Kenna for a great price. Highly recommend. Hello Denali, thank you so much for the kind review. It means the world 🌎 to us. You get us! Great place! As a blond, i have thin and fine hair. I am picky about where i get it done because i have had my hair fried! They didn’t a great job with my highlights and toner, and my hair is still growing and healthy! Thank you MaryKate! We are glad you love your hair, and its so fun to see you when you come in! See you soon. beautiful salon on park ave. taryn is fabulous! I got a great cut for a decent price. I have curly hair and Maggie did one hell of a good job. Great location on Park avenue; perfect for a walk afterwards to show off your new haircut. Thank you John! We hope you will be back soon. I wasn’t sure what to do with my hair and Rachel was able to make it look healthy and tame with the perfect cut. She also gave great tips and product advice about keeping it healthy. It was a great experience and I will go back. Katie is awesome and I have loved coming here since day one. I had very long hair the first time I went here. I was very nervous about cutting it short, however, they did an amazing job! They also donated my hair, which made me feel so great! Thank you Josie! So very kind of you to donate! That’s one of our favorite things to do! Beyond THRILLED with my straight, straight keratin treatment! Still can’t get over the fact that I can blow it straight myself in under ten min- amazing! So worth the investment, I’m honestly so happy with it. Thank you Rachel!! I had a great first experience at Tru on Park! Katie was friendly, professional and gave me the best haircut I've gotten in years. I was really impressed with the service and will definitely be back! That’s great news! We look forward to seeing you again Becky! The atmosphere at Tru on Park is vary friendly, creative and professional. The staff is talented making for excellent results. Listened to every small detail I asked for. I tried 3 hair salons before this. Will continue to go here. Hi Mariah! Thank you for the kind words... we're so glad you found us!! Great location. Knowledgeable staff. Prompt service. Everyone knows who you are even if they arent your specific stylist. Excellent choice for the discerning customer. Hi Ryan! Thank you so much for the kind words! Looking forward to seeing you soon. Thank you Angela! It's always great to see you and hear your stories! Love this place! It's so relaxing. Katie is the best! I went to Tru for the first time and it was a wonderful experience. The stylists are very welcoming. I recommend seeing Taryn, she gave me a great shoulder length cut with layers. Taryn does a nice job with color too. Thanks so much. Thank you Jasmina! So glad you felt right at home. Always on my agenda when I’m in town. Tru on Park is home to my go to stylists. Rachel is superb and Maggie is phenomenal! Looking forward to my next visit! Called this store then stopped by to pick up hair spray while on holiday. The person I interacted with was very nice and friendly; in and out in less than 2 minutes. so great and so cozy people are so nice here. Thank you for your feedback Henry! We look forward to seeing you again soon. I love my time at Tru On Park!! Always leave feeling like a Queen!! Katie is AMAZING!!! Thanks Lisa! Your presence in the salon is always wonderful! We look forward to seeing you soon. Thank you so much for your feedback Kat! We are so thrilled you had such a positive experience with Taryn, she's a gem! We look forward to seeing you again. I have never been more consistently satisfied with a salon. Very happy I found Tru on Park and Taryn. Hi Sara! We’re so glad you found us too!! Have a great holiday and thank you for the kind review! Thank you Samantha! It’s always a pleasure to see you!! Last week was my first appointment at Tru and I was very happy after my visit! Katie did an excellent job on my hair and spent a lot of time making it perfect. I will certainly be back! Thank you for the awesome review Becca! Can't wait to see you again. The stylists here are so friendly, professional, and skilled! Colleen and Kenna make my daughter and I beautiful every time. If you are looking for a new place to go, you have found it! Kristin it was so fun getting to know you today! You totally rock your new cut! I love everyone there. Always so friendly and very accommodating. First time here and was booked the same day I called. My appointment was with Colleen who was amazing! Super polite, professional and friendly! I definitely will be back! Thanks, Colleen!! Thank you for the kind review! We look forward to seeing you again Gina! First time here, Ms. Kenna worked on me and my 3 year olds hair. The service was great everyone was super friendly and helpful. I highly recommend this place. Thank you Megan! It was great to meet you and your little girl!! The best – everything. I'm always 100% satisfied and happy when I leave. Aww... thank you Gayle! It's always a good day to see your face come thru the door! Hi Brooke, thank you for the kind words!! Welcome to the tru on park family ❤ we look forward to seeing you soon! Always a perfect cut and color! I have been coming here for years and I leave feeling beautiful and my hair is fabulous. Their staff is great, too! Colleen, was wonderful and easy to talk with. Everyone was very kind. Fantastic first experience, excited to go back. Thank you Linzie! We can't wait to see you either! Hi Susan! Hope you are well.... we wish to see you soon. Thank you for the kind review. Thank you Lisa!!! It's always a pleasure to see your smiling face! Best Salon experience to date. I have had my hair cut and styled by Erica twice and was very happy with the results. Everyone in the salon is extremely friendly and helpful, definitely recommend! I love coming here, and have been coming to Rachel for more than 12 years. I love how it feels to walk in this place, and how my hair looks walking out! Thank you Ann Marie! Your loyalty is appreciated and it's always so nice to see your face! Thanks Lynnann! We love that you have a great experience at tru and love all of our stylists! We love you, and your hair!!!! Tru Salon did a great job when I went in for a special Up Do for a big 70s Party! The staff was so fun and the team really took their time and got my hair right for partying all night! Thank you Tru! I'm always nervous about trying a new place. I had Colleen and she knew exactly how to cut my hair the way I like it. Rachel is the best!!! Love the service here. Full service salon is hard to find with great people and atmosphere!! !